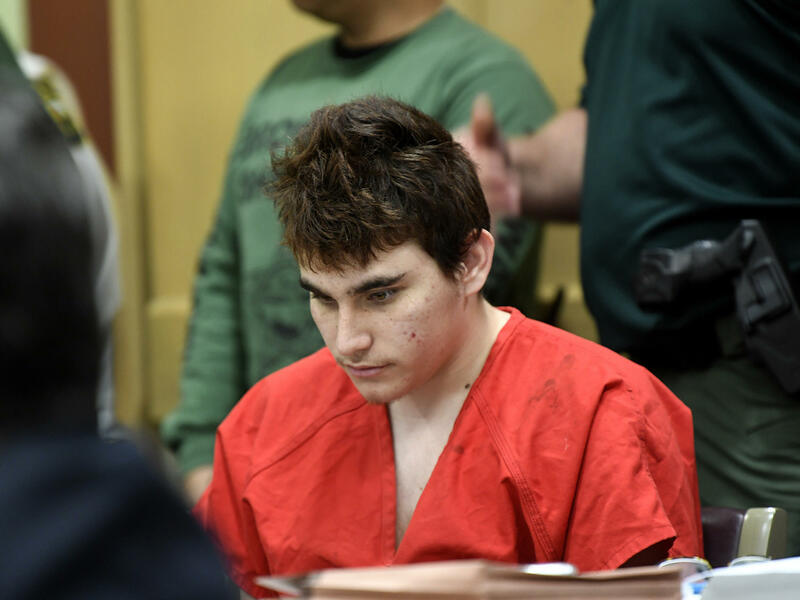 Parkland, Fla., school shooting defendant Nikolas Cruz, at a court hearing in April. In one, Cruz says, "This is the day, the day that it all begins." In another, he lays out plans for the shooting. "My name is Nik. And I'm to be the next school shooter of 2018. My goal is at least 20 people with an AR-15 and a couple of tracer rounds." He talks about taking Uber to the high school, going upstairs to use his weapon to shoot people in the courtyard below. Law enforcement officials say Cruz tried to shoot from inside the building into the courtyard but was unable to penetrate the school's impact-resistant glass. The videos provide little insight into a motive for Cruz's February attack on the school in which 17 people died and at least 17 were injured. "I had enough of being told what to do," he says. "I had enough of ... telling me I'm an idiot and a dumbass. In real life, you're all the dumbass." Prosecutors are likely to present the videos at trial as evidence the attack was premeditated. Cruz's defense lawyers have said he would agree to plead guilty in exchange for a life sentence. The state attorney says he'll seek the death penalty against Cruz.